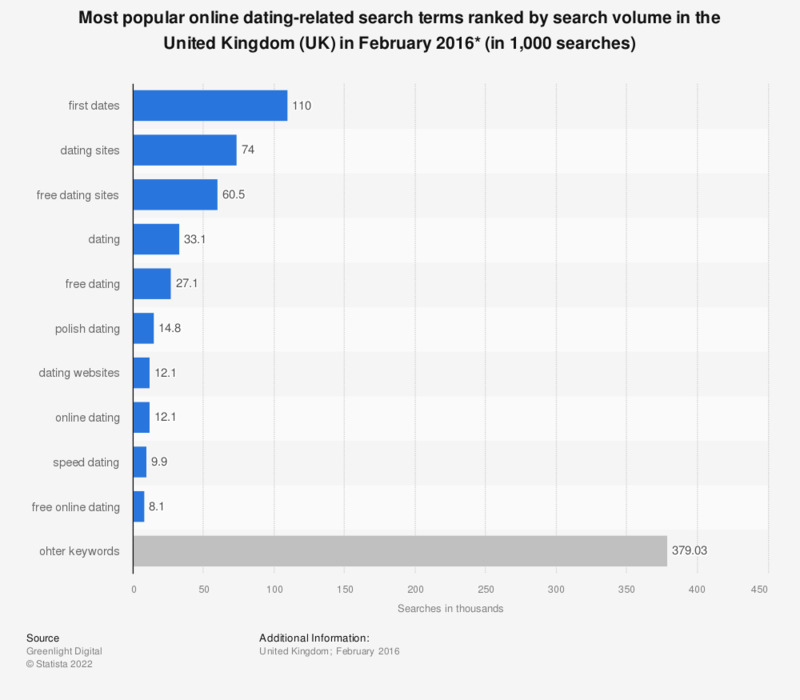 This statistic displays the most googled online dating keywords on Google UK during February 2016. Most googled was the term "first dates", which was searched 110 thousand times in the United Kingdom that month. What's the strangest thing that happened on a date you've been to? How frequently have you used dating or flirt chat service over the last 12 months?